After writing hundreds of reviews about Christmas applications over the last 10 days, you just really don't know what to say about any new one that falls into your hands. 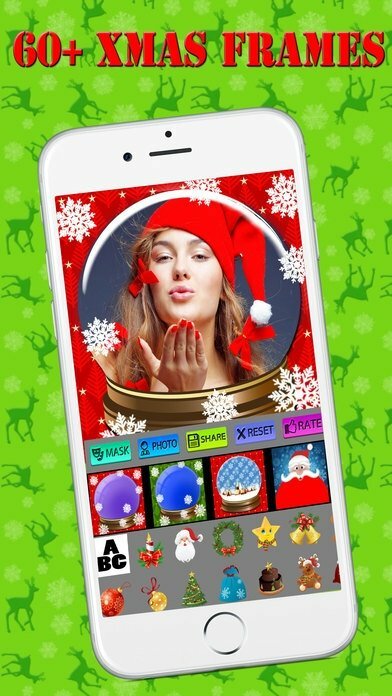 This time around its Xmas Frames, an app whose name doesn't hide any surprises. 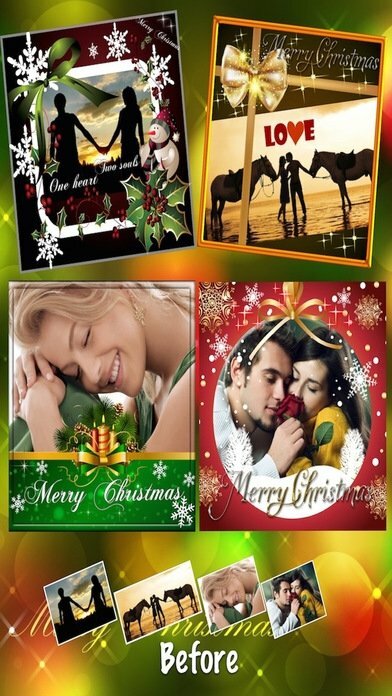 Well, here it is, another application to apply frames to your pictures, this time around full of Christmas motifs. Plenty of snow, mistletoe, Santa Claus' favorite tone of red... What for? Well, to decorate those hundreds of stupid photos, selfies included, that we've got in the gallery of our smartphone so that we can think of ourselves as brilliant photo editors. Welcome to the 21st century! A classy and stylish iPhone app. Not. Over 70 different stylish frames. 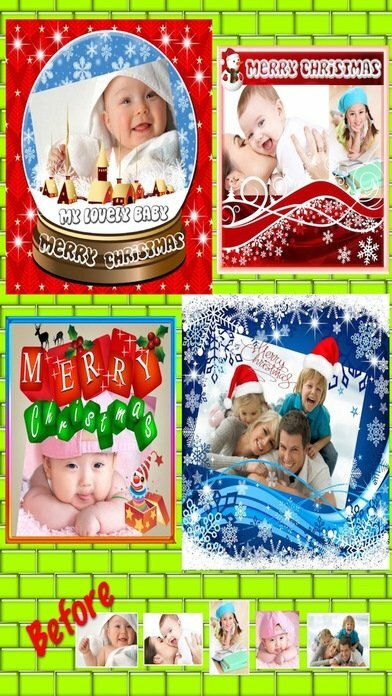 250 stickers to decorate your photos. 20 text fonts and 6 different styles. Support for Retina display... as if this app needed it. Function to share your creations via Twitter, email or photo album so that everyone gets to know about our tacky taste. 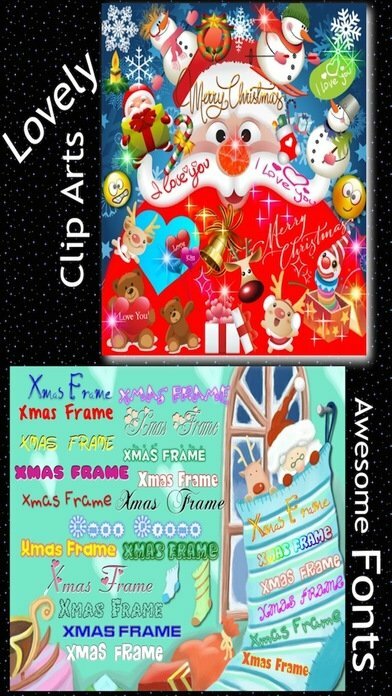 So, what's this Christmas frames application for? Well, you might just think it's only about decorating photos. But there's much more to it. Its most useful function is that we won't have to face up to reality and we can continue to behave like a lonely person while we take shelter on our fake social life on WhatsApp, Facebook and others. Let's decorate photos, make Christmas cards and share them on social networks and messaging apps in a cold and impersonal manner. That's much better than calling or skyping our family, or getting together to have a beer with our mates. Oh! So you really don't want to see anyone. In that case, this app is just what you're looking for.